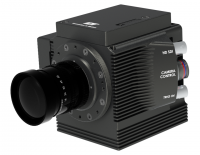 The O Series cameras are compact, rugged, and have the most integrated image storage among the small form factor cameras – up to 32GB of integrated DDR. A 240GB removable SSD comes standard along with 16GB DDR, HDSDI, GPS, backup battery and micro four thirds mount*. 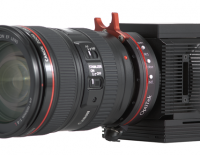 The O-9 frames at up to 3000fps at a resolution of 2560×1440 pixels, and up to 260fps streaming continuously to SSD. 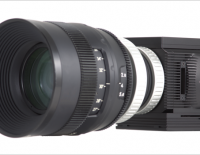 *Cameras are supplied with one of three permanently fitted lens mounts . Canon EOS, Micro 4/3″ (both offering remote control of lens settings) or C-mount, allowing the use of accessory lens mounts detailed below. The O-10 frames at up to 1100fps at a resolution of 3840×2400 pixels, and up to 130fps streaming continuously to SSD. 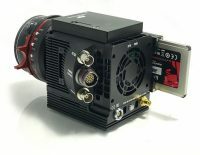 With a good choice of lens mount, and a variety of control options, the O-10 is a revolution in high speed camera for media and TV application. Very suited for use on a quadcopter (drone) or other camera support where size and weight are critical. Break-out cable 5ft, 19-pin LEMO to 4 BNC, DIN power and RJ45 connector. 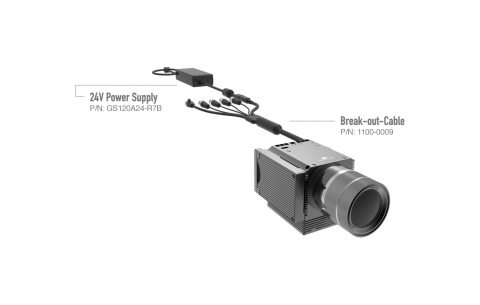 The OS signal hub provides power, communication, and synchronization to iNdustrial, OS, CrashCam, and Airborne model cameras.